Bandai Co., Ltd. (株式会社バンダイ, Kabushiki-gaisha Bandai) is a Japanese toy maker and video game company, as well as the producer of a large number of plastic model kits. It is the world's fourth-largest producer of toys (after Mattel, Hasbro, and The LEGO Group ). Some ex-Bandai group companies produce anime and tokusatsu programs. Its headquarters is located in Taitō, Tokyo. After its merger with game developer and amusement facility operator Namco, Bandai Company, Limited is now under the management of Bandai Namco Holdings and a member of Bandai Namco Group. After group reorganisation in 2006, Bandai heads the group's Toys and Hobby Strategic Business Unit (SBU). Bandai was founded in 1950. In the 1960s Bandai expanded to include export sales. Bandai's racing car set, which first appeared in 1962, became a huge success. The 1970s continued to see Bandai expand, with Bandai Models being established in 1971. Although not their most profitable range, Bandai's 1/48 scale AFV models dominated that segment of the model kit market. Bandai America Inc. was established as local US sales/marketing operation in 1978. Spacewarp, a line of build-it-yourself toy rolling ball "roller coasters" was introduced by Bandai in the 1980s. 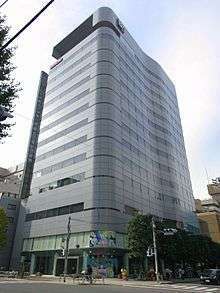 The management of Bandai and Sega discussed a merger in the late 1990s and voted to implement it, but the merger was later cancelled, citing "cultural differences", after a large scale protest by Bandai's middle management. Bandai Entertainment was a subsidiary of Bandai Visual that was involved in the distribution of numerous anime in North America, as well as manga, American-made graphic novels and other merchandising ventures related to anime. Their headquarters in the United States were located in Cypress, California. They had a European subsidiary named Beez Entertainment (also a subisidiary of Bandai Visual) who handled European licensing & distribution rights to their library. The first part of Beez Entertainment's name stood for Bandai Entertainment European Zone, as Bandai Entertainment had operations in Europe. Beez Entertainment was based in France. Bandai Entertainment absorbed Bandai Visual's North American division, Bandai Visual USA, at the start of July 2008, and as a result, they were taken over by Bandai Visual, who then became their new parent company (though Bandai Entertainment continued to be part of Bandai). In addition, Bandai Visual also took over Beez Entertainment as their entry into the European market, and Beez Entertainment also continued to be part of Bandai as well. On March 31, 2006, it merged with Namco Ltd. and was renamed Bandai Namco Games Inc.
Bandai produced a running mat called the Family Fun Fitness System for the Nintendo Entertainment System starting in 1986. A series of games was released both in the US and in Japan, including Athletic World and Stadium Events for the NES. Shortly after its release, Nintendo purchased the rights to the FFF mat in North America, replacing it with their own redesign, the Power Pad. In order to maintain branding continuity, Stadium Events was pulled from shelves after a short period of availability at Woolworth's stores. Because the game was pulled from shelves and discontinued before many copies were sold, Bandai's Stadium Events is universally accepted as the rarest licensed NES game released in North America. A shrinkwrapped copy of the game sold for $41,270 on eBay in February 2010. The sister game to Stadium Events, called Athletic World was initially released with a label that indicated compatibility with the Family Fun Fitness mat, but was later re-released with an updated label that mentions the Power Pad instead. Stadium Events was not released again, but instead was slightly modified and relaunched as the Power Pad pack-in game, World Class Track Meet. ↑ "Lego Celebrates 50 Years of Building". Time. 28 January 2008. Retrieved 21 September 2011. ↑ "Everything Is Awesome: Lego Leaps Barbie For World's Largest Toy Maker". ↑ "Bandai Entertainment to Stop Releasing New DVDs, BDs, Manga". Anime News Network. 2012-01-02. Retrieved 2012-01-02. ↑ "Bandai Entertainment to Discontinue Home Video, Manga, Novel Sales". Anime News Network. Retrieved 31 August 2012. ↑ "France's Beez Entertainment Stops Releasing New Anime". Anime News Network. ↑ "Original Nintendo Stadium Events Cartridge | Rare Video Games Auctions, Sales & Pricing". Gamesniped.com. 2008-05-30. Retrieved 2012-08-13. 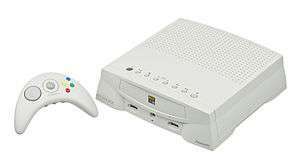 ↑ "Wii Feature: 25 rarest Nintendo games ever". ComputerAndVideoGames.com. 2008-06-29. Retrieved 2012-08-13. ↑ Mike Smith. "Rare Nintendo game is $40,000 windfall". ↑ "Variant labels for NES games [Archive] - Retrogaming Roundtable". Digitpress.com. 2007-10-18. Retrieved 2012-08-13. Dig Dug II box art, also see Moby Games entry.